Oval semi-inground with resin borders. 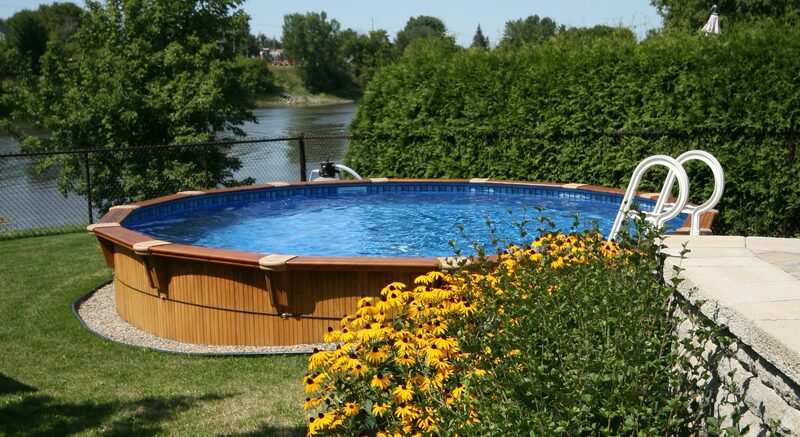 Oval semi-inground with wood borders. 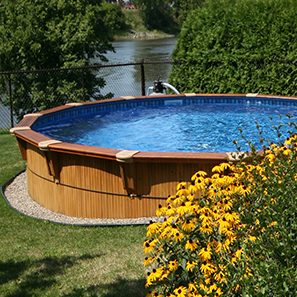 Oval above ground with resin borders. 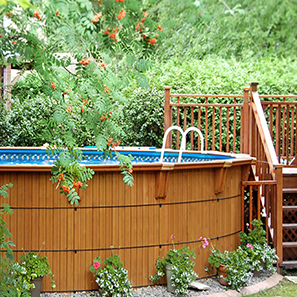 Round semi-inground with wood borders. Round above ground with resin borders. 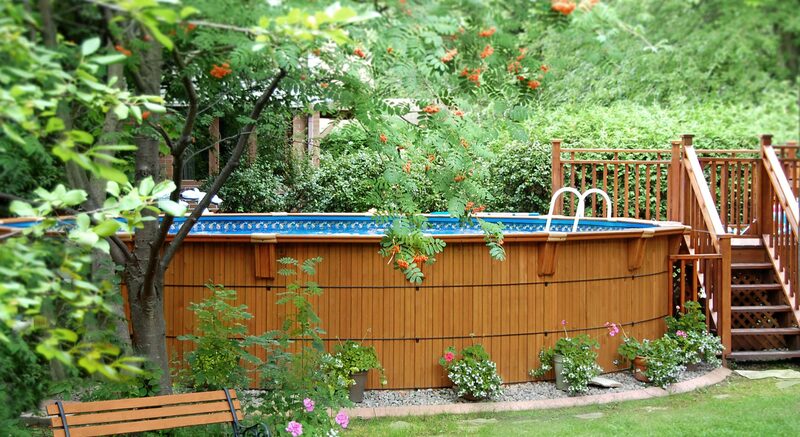 Round above ground with wood borders. 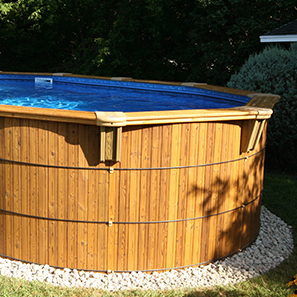 Rectangular semi-inground with wood borders. 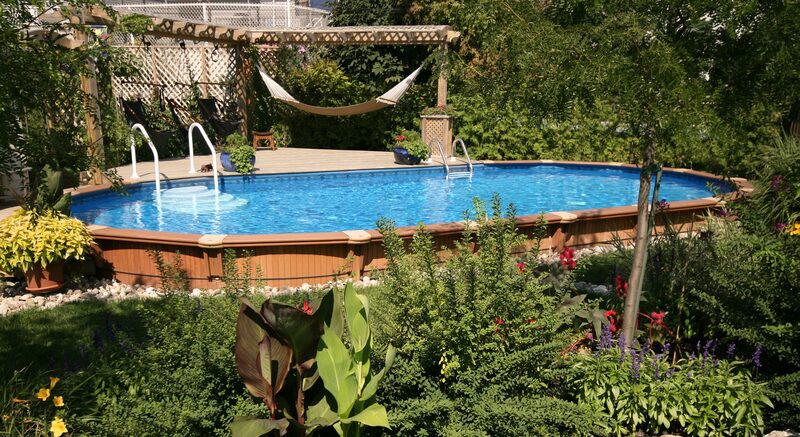 The curved silhouette of this pool will integrate seamlessly with your garden by showcasing your landscaping. 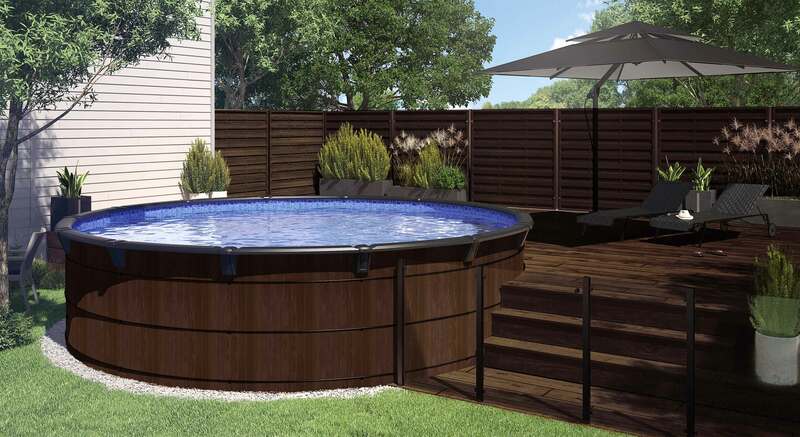 This oval model will not only become the focal point of your landscape design, it will provide many moments of relaxation as well as a refreshing escape from the heat during the warm summer months. 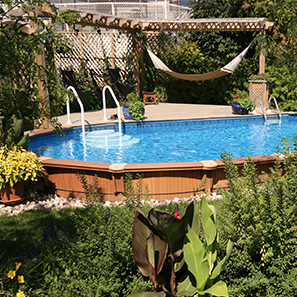 This pool’s symmetrical contour will add a touch of finesse to your exterior decor and is sure to enhance your backyard. 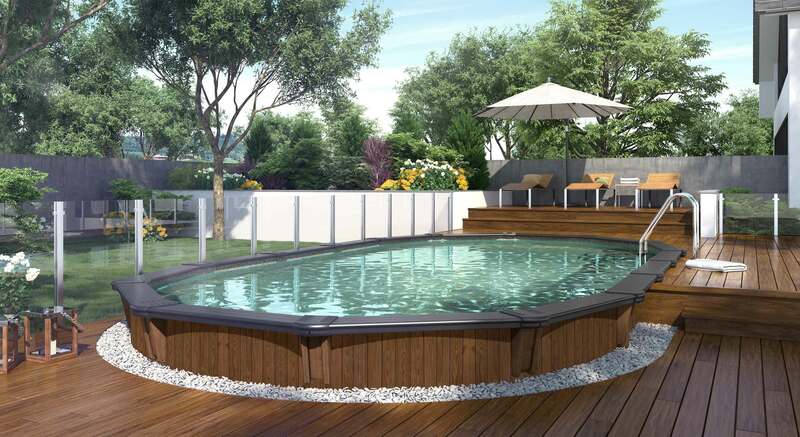 This elegant and refined model—an alternative to conventional above ground pools—is an interesting option for your property. 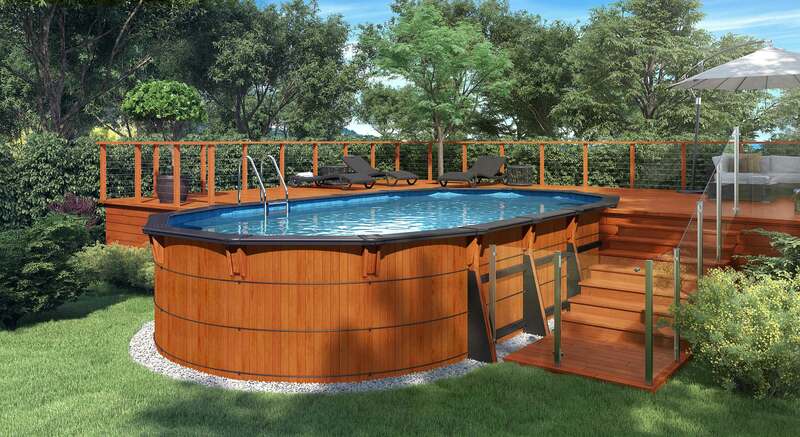 Aqua-Wood new rectangular semi-inground pool is unique and will become the centrepiece of your backyard. 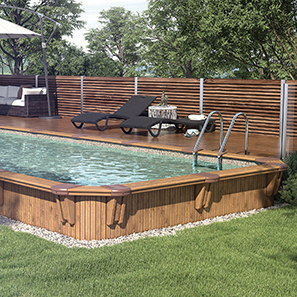 Its sleek, well-defined lines will create a perfect balance between nature and design.